We are very pleased to announce that Abhi Parikh has joined our firm as a tax senior manager, after spending nine years at Deloitte Tax. Abhi worked his way up from staff to senior manager in the tax department of his prior firm, and he will continue to utilize his extensive tax experience at SPS, with a particular emphasis in the areas of partnership, corporate and individual tax issues. Abhi received his Bachelor’s Degree in Biology from UC Irvine in 2004. After realizing that Biology was not a good fit for him, Abhi returned to college to take accounting and finance classes, and earned his CPA license in 2007. While at Deloite Tax, he earned his Masters of Science in Taxation from Golden Gate University. Abhi has spent most of his life in Southern California, and has lived with his wife, Mita, in Sherman Oaks since 2013. Abhi and his wife have a 2 year old son, Ayden, who keeps them fairly busy and occupied most of the time. Abhi is a devoted sports fan and enjoys watching and playing baseball, football and basketball. 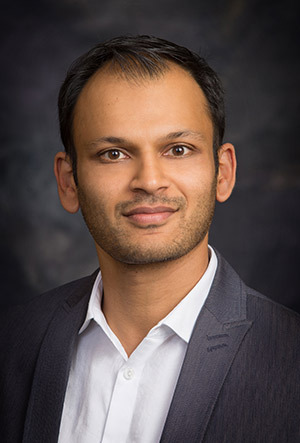 We are excited about the addition of Abhi to our team here at Sobul, Primes and Schenkel, and we know his high-level expertise in the tax area will be a great benefit for our firm and the clients that we serve.